Debt Consolidation Care has been specializing in debt solutions for over 13 years, helping thousands of clients become debt free. Debt Consolidation Care has created a place where people can come to get support in consolidating and resolving their debt. Founded in 2004, the company has helped thousands of people all across the country jump-start their journey to financial freedom. 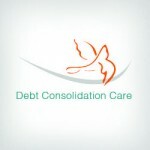 Debt Consolidation Care offers credit counseling and a free consultation. The website offers information about all different options and solutions, so customers can have what they need to make an informed decision. Customers of Debt Consolidation Care will have several opportunities to have free counseling sessions throughout the process. To begin, a free consultation with a counselor will get you started in the right direction. The consultation will be spent going through your situation and finding what is the best plan for your circumstances. If you choose to continue working with Debt Consolidation Care after this free consultation, you will receive more counseling throughout your progress. Since there is a wide range of issues regarding personal finance, it is helpful for customers to have options to choose a solution that best fits their exact situation. Debt Consolidation Care provides information and guidance on many different options. The main way that Debt Consolidation Care stands out among the rest of the industry is that it offers a support community for the customers to work through their financial problems. There are forums and discussion boards that customers can be a part of to get ideas and motivation. This is not a common practice in the industry, and may be very beneficial to people who are struggling and would like a community to chat openly about their circumstances. Deciding to consolidate debt can be a major decision for customers and a major factor is the cost for these types of services. Customers who are researching Debt Consolidation Care will not be able to get price quotes until they have a credit counseling session. This makes it difficult for potential customers to decide if working with Debt Consolidation Care is in their best interest without taking the time for the free consultation. It also makes it difficult for our team to rank their company’s services in the industry without this basic information. Like some other companies within the industry, Debt Consolidation Care does not actually do the consolidation work for the customer. Debt Consolidation Care assists customers in finding what is the right steps for them to take. They also don’t really help the customer find the company that will actually consolidate for them. Potential customers may want to research and find a company that they can work throughout their entire debt management process. The online support group that Debt Consolidation Care offers their customers can be a help in seeing possible solutions. But anyone can post on the forums and so information isn’t necessarily always correct. The forums are monitored, so in theory all false information is taken down but that can’t be guaranteed. Debt Consolidation Care is a good place for people to start their journey to financial freedom from their debt issues. The company provides a place where anyone can come and ask questions or read others’ experiences to get an idea of how they should begin. It doesn’t seem like there is much help for the customer beyond the support community though. They will have to find other companies to help actually get the work done. We can recommend Debt Consolidation Care as a supplemental support, but we do not recommend them for consolidation. In their more than 13 years in business, Debt Consolidation Care has helped 471,119 members get on the road to financial freedom. Their online forums help customers to learn more about the intricate workings of the industry from others. In a testimonial, a customer wrote about how the community showed him he didn’t owe a corrupt company money, which saved him money and heartache. This type of scenario is exactly why Debt Consolidation Care was created. The monthly fees that are required of Debt Consolidation Care’s customers will be discussed during the free credit counseling session. Any other fees associated with Debt Consolidation Care will also be discussed during the free credit counseling session. Every customer has access to a free consultation to get an idea of what they need to solve their financial problems. They also have access to free credit counseling. Debt Consolidation Care was founded in 2004. Debt Consolidation Care offers some educational tools and resources for customers. Since Debt Consolidation Care does not actually offer the actual services, just information about them, there is no obligation or cancellation policy necessary. Debt Consolidation Services does not specify which types of loans on their website at this time. Debt Consolidation Care does offer a mobile-friendly site. Debt Consolidation Care offers both personal loans and debt consolidation. Debt Consolidation Care does not have a minimum required debt amount published on its website at this time. Debt Consolidation Care does offer a dashboard. Debt Consolidation Care is not CPFC certified at this time. Debt Consolidation Care is not ISO certified at this time. Debtconsolidationcare.com helped me understand my debt problem and it helped me take steps to deal with this financial mess i was in. I got debt free at around half of what i owed.